For a while I was based in the City of London, working in Love Lane. Literally a minute from the Guildhall, I can remember looking around the buildings from the outside and being taken into the Guildhall building itself by one of the taxi drivers who worked for LTI to marvel at the stately interior which is used for various functions in the City of London. But, my first encounter with the Art Gallery was last year when an invitation to ‘Victoriana, the art of revival’ seemed compelling. The Gallery has been closed for a major refurbishment, the first time since the new building opened in 1999, and reopened on Friday 16th January. 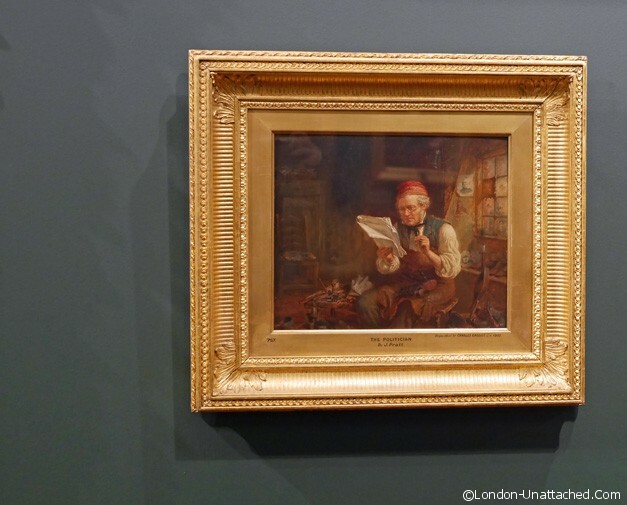 The transformation has created an accessible and heuristic display of the art collected by the City of London since 1670, a remarkable tribute to both British and visiting artists. 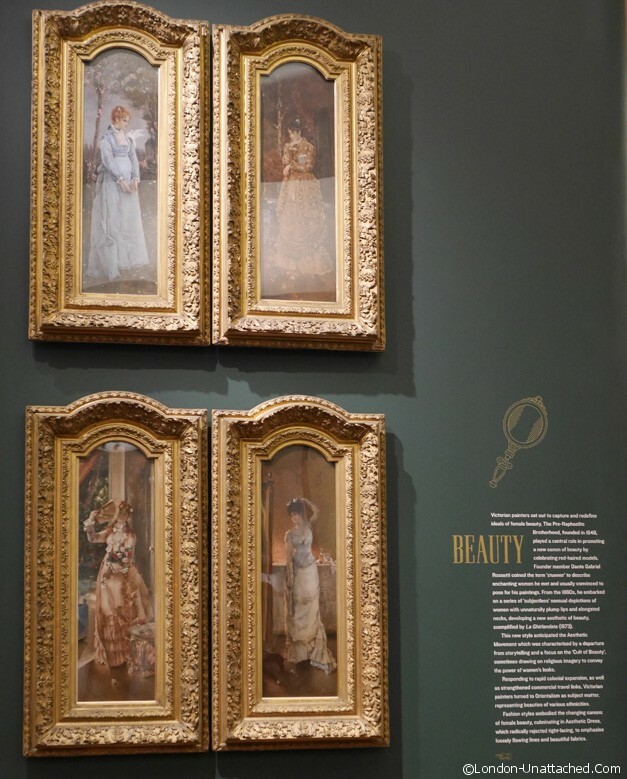 Now, the main exhibition area has been overhauled and laid out to display some of the Victorian art which is the underpinning of the collection in a way that helps a modern audience understand the context of each work. Julia Dudkiewicz, Principal Curator explained that room showcases two dichotomies – on one side of the room, Materiality (Home and Beauty) contrasts with Spirituality (Faith), on the other Imagined Realities (Love and Imagination) are contrasted with the Realities of Life (Work and Leisure). 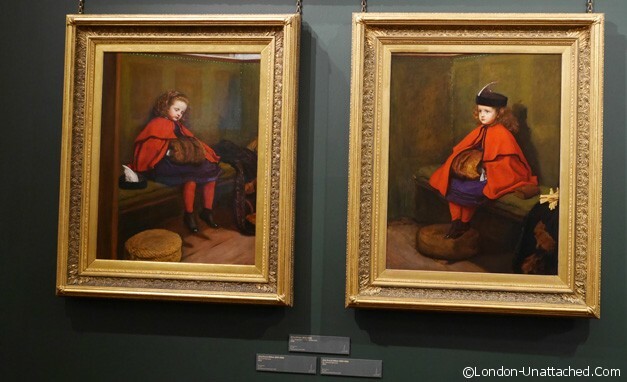 The paintings on this level are, for me, the most accessible and I really appreciated the thought that had gone into the rehang, which aims to help contemporary visitors understand how Victorian life themes have affected life today. 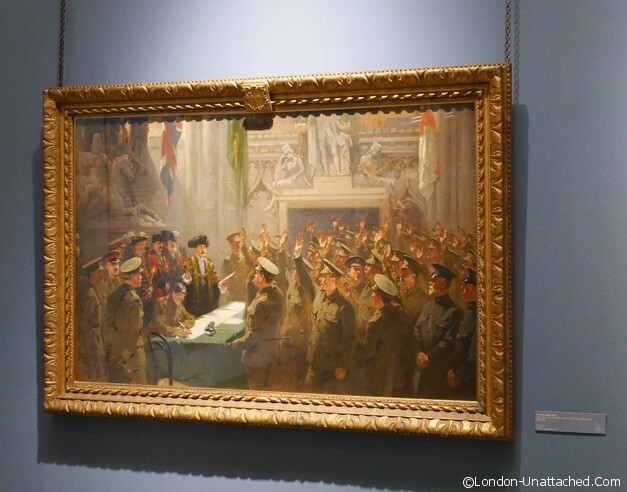 On the next level down there’s a display of art from the First World War, including landscape paintings by Matthew Smith, dark brooding landscapes painted following service in the War and a subsequent nervous breakdown. 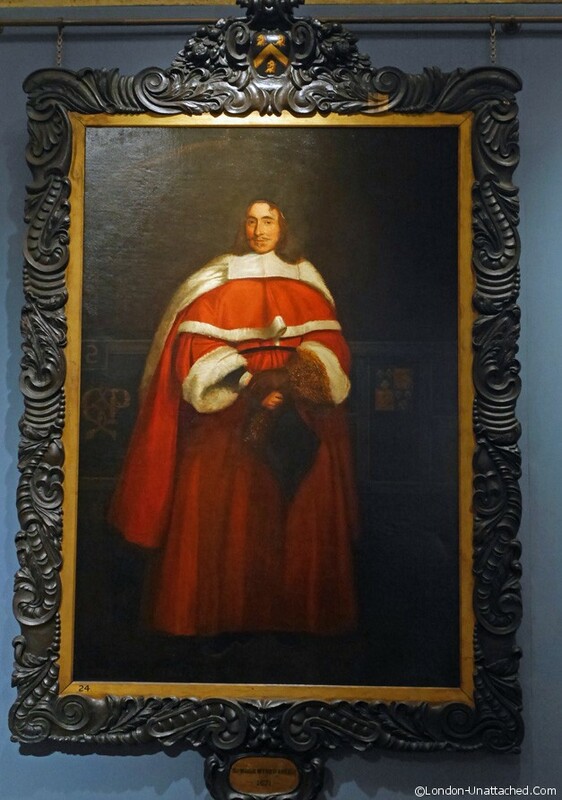 There are also some of the earliest painting in the collection. 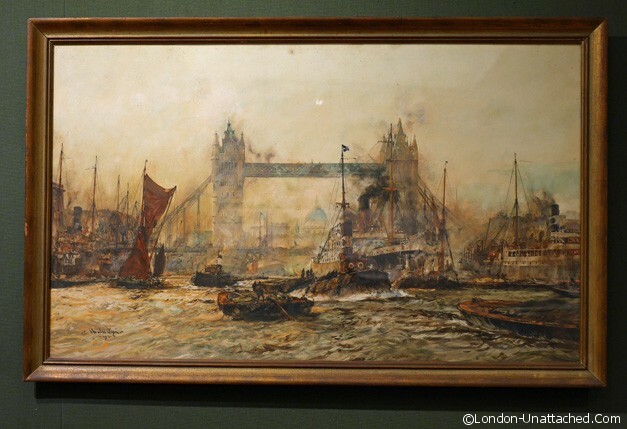 And a fascinating exhibition about Tower Bridge, to celebrate the 120th anniversary of the bridge in 2014. 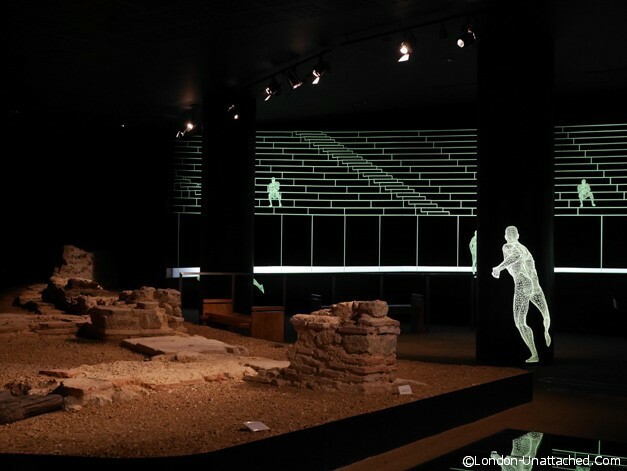 Finally, there’s the Roman Amphitheatre. Somewhere you can walk and get a sense of the scale of the original construction, despite being two levels down. 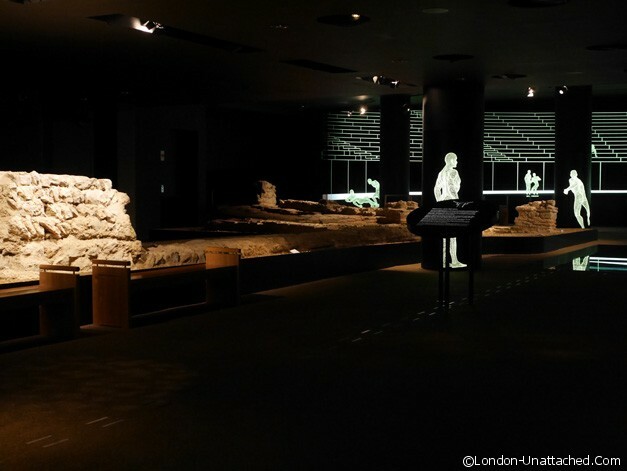 I was particularly impressed throughout the exhibition by disabled access on every level, even down to a special entrance into the Roman Amphitheatre. It appears the Guildhall Art Gallery has made no compromises and I’d love to hear whether the intention actually meets the needs of disabled visitors. 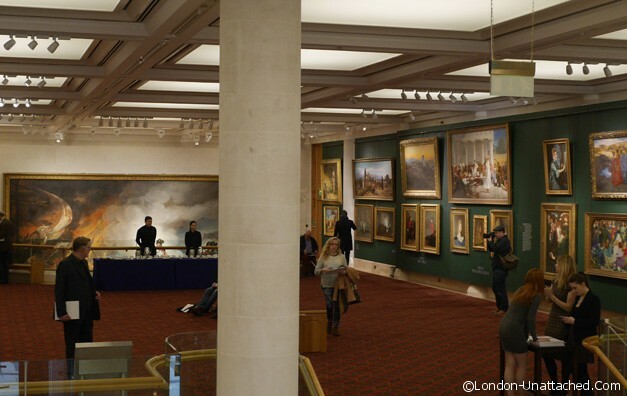 For the most part entrance to the Guildhall Art Gallery and the exhibitions is free of charge. They do occasionally hold exhibitions with a small entrance fee, but the permanant collection can always be accessed free of charge. I would love to see that exhibition and the building. I think that you have the best of both worlds.. the ability to see the history, art and culture of London and the UK as well as travel abroad.